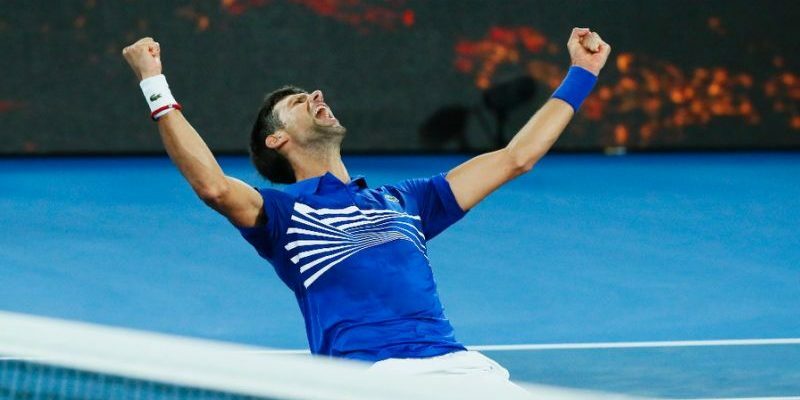 The Australian Open is over for another year, with a stunning performance from Djokovic to take out the Men’s Singles title. Surprise upsets early in the tournament saw the losses of veterans Serena Williams and Roger Federer while young-gun, Stefanos Tsitsipas went on to play his first Grand Slam quarterfinal match. Every January The Australian Open captures the hearts of Australians with long, hot nights spent in front of the TV cheering for the underdogs, sadly watching your favourites bow out and finally seeing all the hard work pay off for those who get to lift the trophy high. But is there more to learn from watching tennis than how to hit a good backhand? Numerous studies have indicated that former athletes make great leaders, but what is it exactly that makes them stand out candidates? And how do we know how to spot, recruit and cultivate people with the same qualities in our own organisations? If you know the traits you are looking for before reviewing candidates, you’ll be able to spot those with leadership potential much easier. Some of the traits you need to seek out may be specific to your organisation because they align with your values and culture. Others may be indicative of a personality that has the potential to do great things in their new role. Emotional intelligence is also key, because it means the person can work well with others, solve problems, and manage stressful situations – which often occur in leadership positions. If you make time to actively seek out these traits during any employee selection process, you’ll have a much better shot of winning the leadership game. Just as a professional talent scout knows how to spot potential on the court, you can also learn to spot leadership potential in a CV. Most CVs offer a lot more than a simple run-down of skills, qualifications and experience – it’s just a matter of drawing connections between what people say they can do and how their work history actually demonstrates it. Ideally, look for awards, progression of responsibilities or position, challenges and solutions, and achievements. When it’s time to interview, you can take this opportunity to ask deeper questions and uncover whether the candidate possesses the traits you feel are most important. Remember too that unique skills often add great value to an organisation. We want people who will enhance our organisational culture – not just conform to it. For example, those who are naturally curious tend to make great leaders because they want to understand how things work, and actively seek ways to improve the status quo. At HorizonOne we have a very comprehensive testing and interview process, with behavioural questions backed by strong referencing to ensure that what we take from interviews has been demonstrated in the workplace. We find this approach allows us to get the best out of the candidate-review process, and ensures we choose people who are the right fit for the role. Not everyone wants to be a pro tennis player, and the same goes for leaders. So right off the bat (or racket? ), it’s important to remember that despite your best efforts an employee may not want to move into a leadership position. For those who do, we all know how important it is for talented tennis players to employ brilliant coaches, and the same can be said for the players in your organisation. Great leaders create great leaders, so cultivating leadership at all levels creates a positive cyclical effect. Staff need to feel trusted and have a certain degree of autonomy to be motivated. Hiring and managing through compliance is low trust, but the right trust framework allows people to flourish. Being able to trust employees comes down to knowing they are committed to the same values and level of integrity, so will always perform in a way that is complementary to the organisation. Most importantly, explain the why to your people. Explain it during induction, whenever you make a change, and on an ongoing basis. Explain why their work matters, why you do what you do, why they need to do things a certain way, and why you have the values you do and how you live them. Explaining why creates buy-in so people engage with the business and become a beacon of your organisational culture. And if you constantly live and demonstrate these values yourself, your people will also follow…giving you a great competitive advantage.